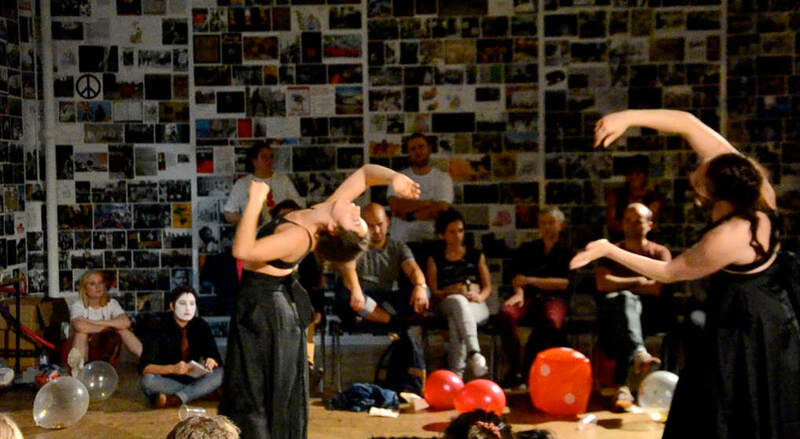 Choreophobia (2018) Performed at Somerset House, Chisenhale Studios and Edinburgh Fringe Festival 2018. 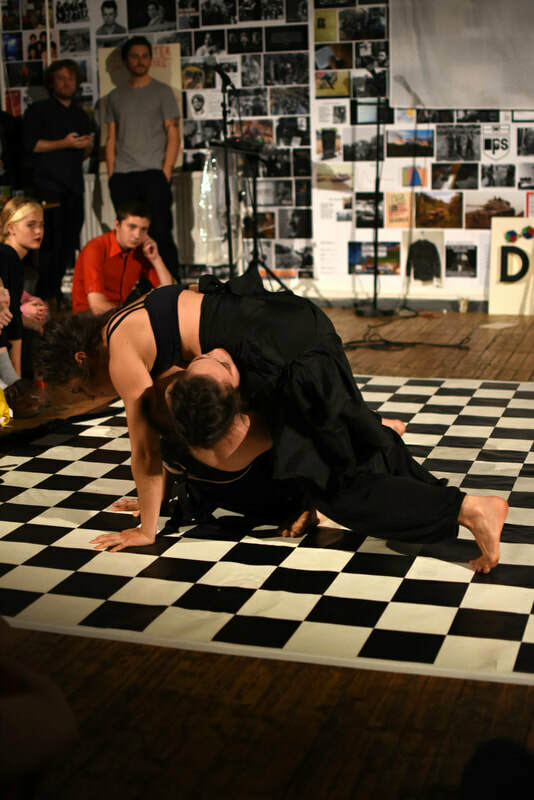 Choreophobia​ is a choreographed performance with dancers Eva Escrich and Lauren Stewart, accompanied by a sonic mashup edited by Nejatpour. 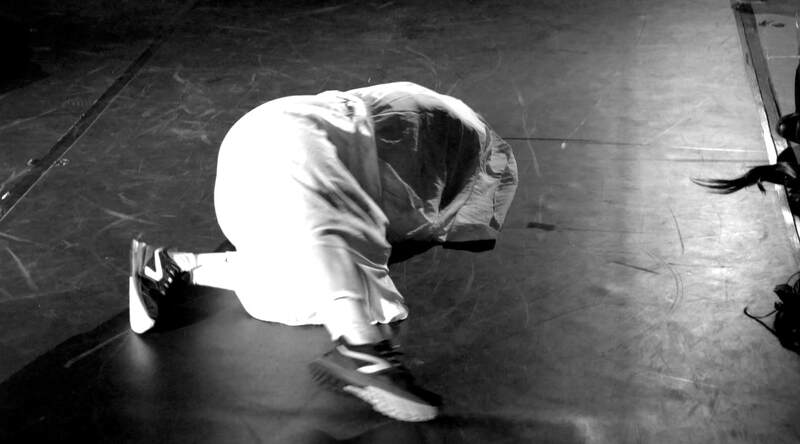 The work sees Nejatpour's studio practice expand into performance, building upon the artist’s research into Iranian histories as well as continuing an ongoing exploration of her own cultural duality through contemporary forms. 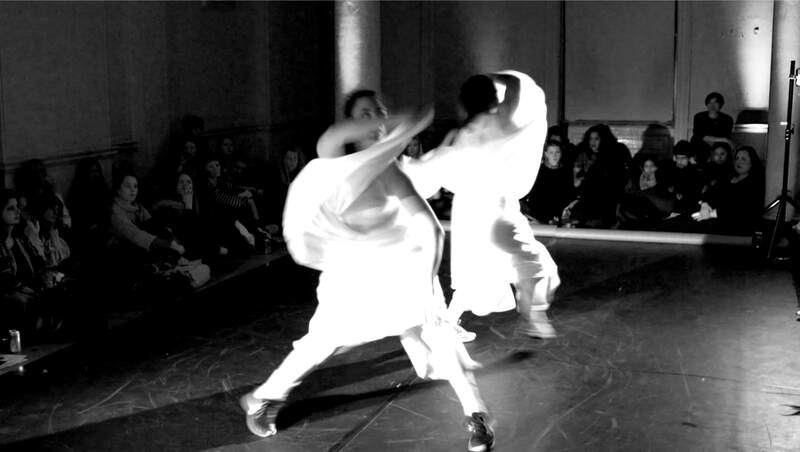 The performance borrows its name from the theory of dancer and choreographer Anthony Shay, who examined the intervening occurrence of colonialism and Western thought on Middle Eastern dance practices. Shay articulates Western involvement in the Middle East as transforming gender and sensuality in non-Western male bodies, arguing that this interference influenced a phobia toward transgressive and fluid forms of gender display. 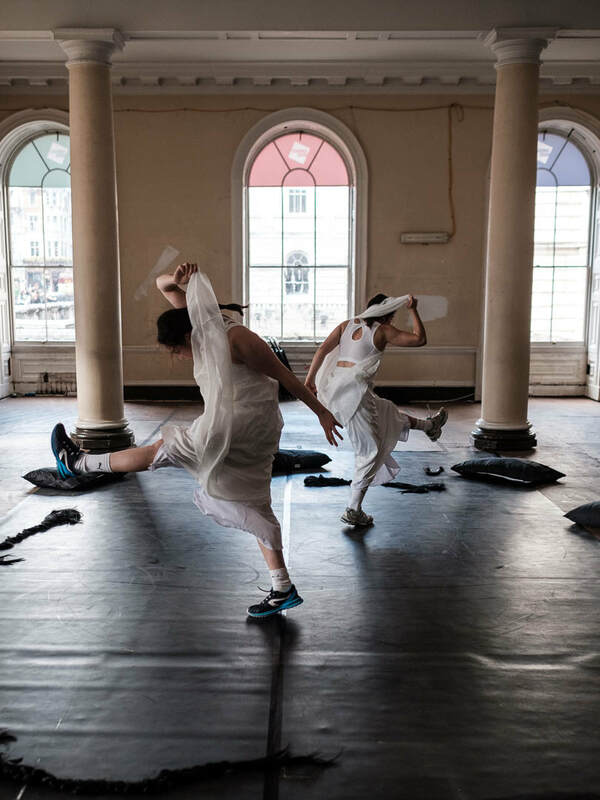 Shay positions this theory as manifesting in the encouragement of hyper masculinity within public displays of dance, finally ending in 1979, with the criminalisation of public dance in many places including Tehran. 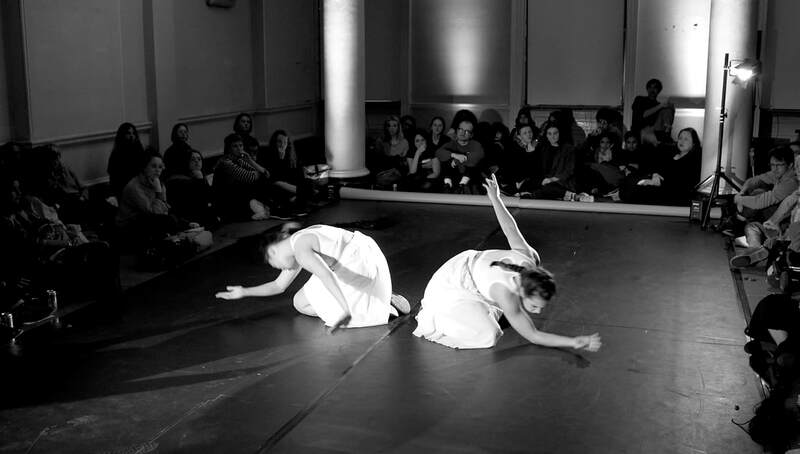 Nejatpour viscerally works through Shay’s concept and critique by placing her own geographical displacement into a choreography, sampling movements and sonic references from her nostalgia for Northern Bassline club culture and juxtaposing these symbolic cyphers alongside a retracing of movements and gestures associated with the now banned Iranian solo improvised dance. 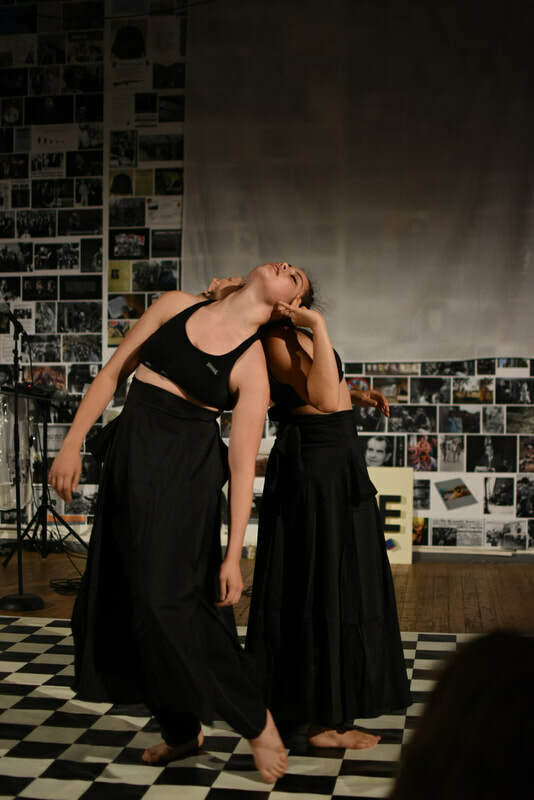 With dancers Eva Escrich González and Lauren Stewart, Nejatpour has created a mesmerising performance that works with the body as a sculpture in flux, activating forgotten archives of movement and sound whilst troubling cultural relocation and gender stereotypes.